You know our good buddy the camel gets tired of all these hikers on his back. 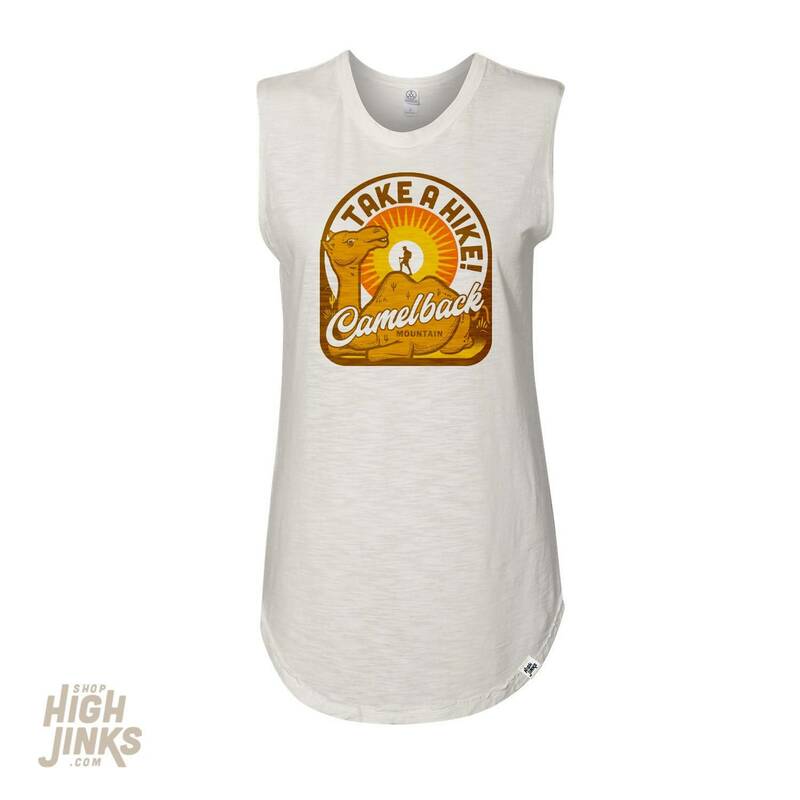 Take a Hike is now available on our favorite Alternative Apparel brand shirt style for weekends, or Mondays... Tuesdays... Wednesdays... You get the picture. This 100% cotton, garment-dyed slub muscle style shirt features a slight raw edge, inside out detailing and a loose, and flowy fit. Printed with water-based ink and only gets softer over time.